I must have said it before: sometimes you need to buy a bigger lot just to lay your hands on that one item you’ve been looking for. And that can be fun, because the rest of the lot may include some unexpected finds. From now on, though, I will have to add a caveat: it may not always be that interesting what comes with the item you were looking for. And so I’m sorry to say that I was slightly underwhelmed when my Pakistan 1994 year set arrived. I’m afraid I found it all a bit bland. 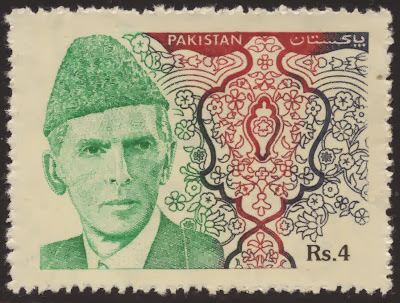 Though maybe, being inclined to lean towards more traditional philately (read: older stuff), I could have foreseen it would not be the treasure trove I somehow expected. Many stamps were of a design or theme which could just as well have been issued anywhere else in the world. 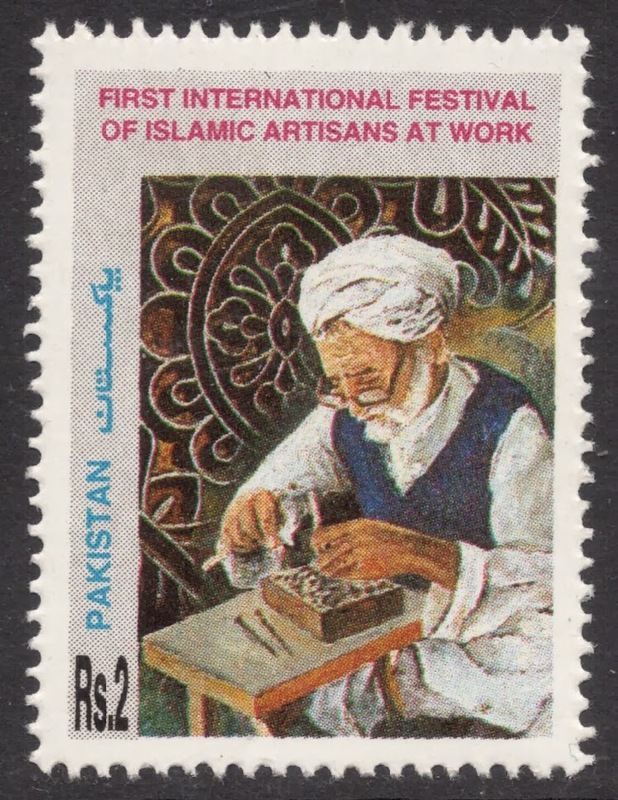 There was really only the one exception and that was the stamp issued to mark the first international festival of Islamic artisans at work. The Pioneers of Freedom sheet could also be said to be a good home-grown thematic, but here the printing process (lithography) does not really do the designs justice. 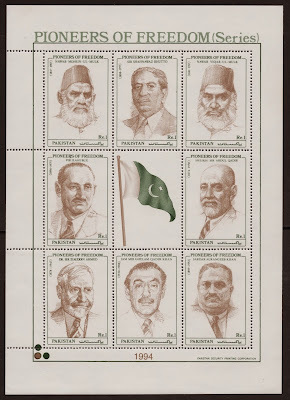 If only these had been properly engraved portraits, printed in recess, that would have made for a rather classy issue. 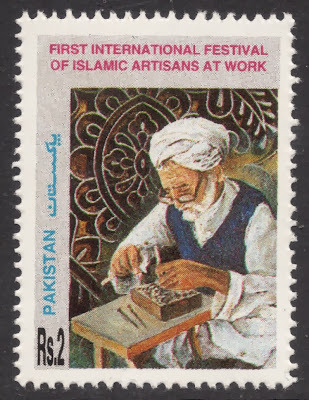 Some surprise then, that the stamps I was looking for in the first place should be so utterly beautiful! 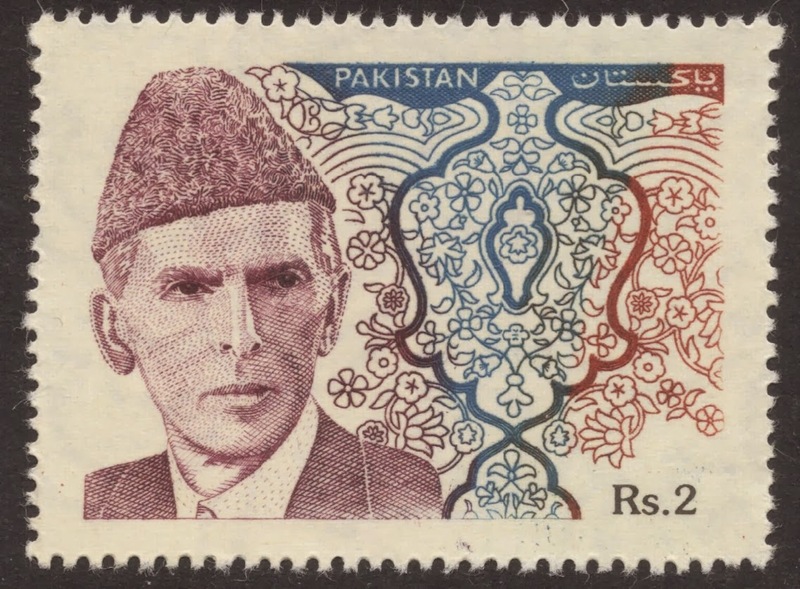 The definitive set introduced in 1994 depicts the Father of the Nation, Muhammad Ali Jinnah, against a lovely decorative background. 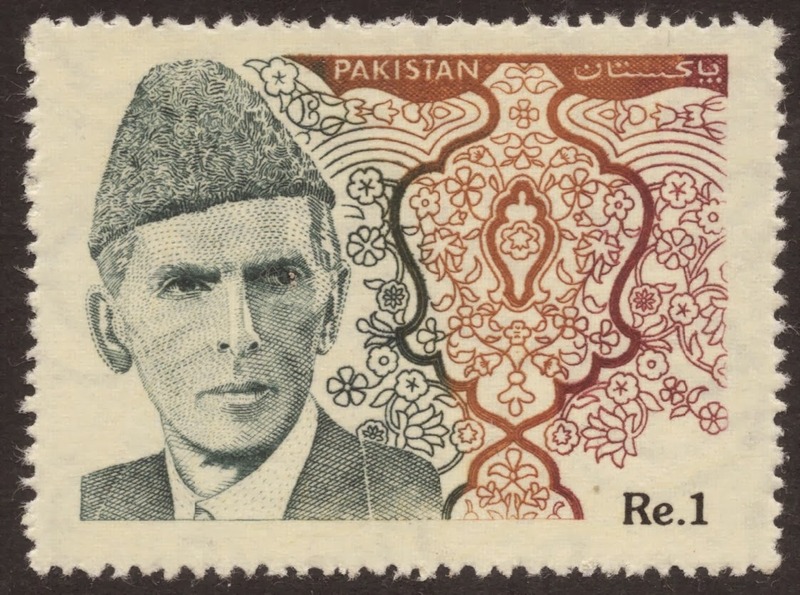 The portrait is printed in recess, which in my book adds greatly to the design. But the subtle play with colours, too, make that this twelve-value set never looks samey. I’ve been trying for ages to find out more about the engraver. 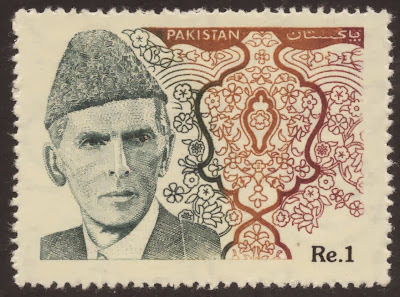 The catalogue just mentions Z. Ali, but thankfully I came across a great Pakistan Philately website, and on there I read the engraver’s first name, which is Zulfiqar. 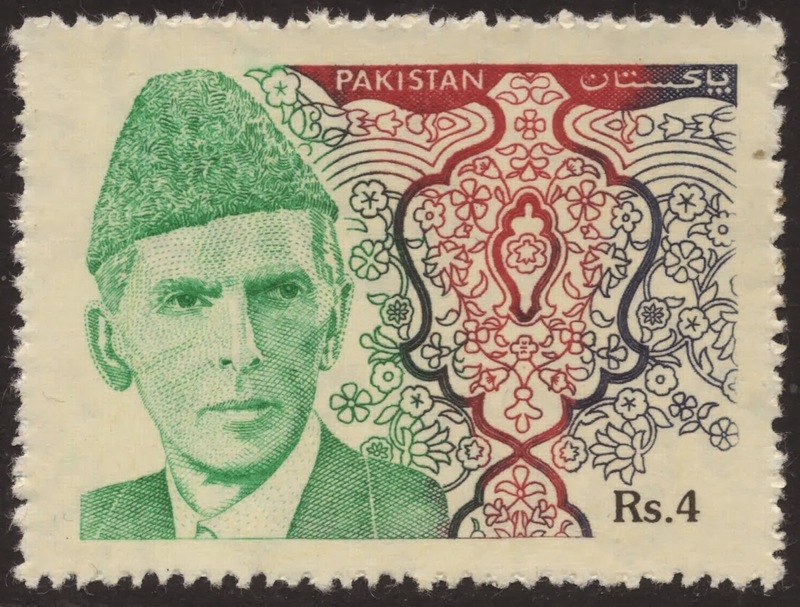 Not that that helped much for I still have been unable to find out anything more about this Zulfiqar Ali. 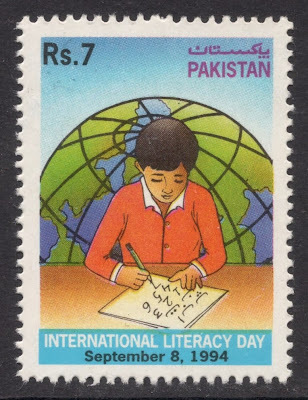 So if anyone happens to be an expert in Pakistan philately, do come to the rescue and enlighten me!